The Ibanez JS2PRM electric guitar is a custom guitar, designed in conjunction with guitar master Joe Satriani. The JS2PRM is based on Satch’s previous (and famous) ‘Chromeboy’ design, which features a mirrored chrome finish. The most striking feature of the JS2PRM is that it is designed to look as though the guitar was fashioned from a block of metal, rather than wood. The limited edition Ibanez JS2PRM is essentially the third design in the Chromeboy family of guitars, with only 60 pieces made, 38 of which are available here in the United States. As with all other Ibanez guitars co-designed by Joe Satriani, the quality of the JS2PRM is exceptional. Of course, the development of the current Chromeboy family has not been without its snags. The earlier models (the Ibanez JS2 and the JS10th) proved to be quite stubborn when it came to applying the metallic finish. A major hurdle in the design process was trying to figure out how to dip a wooden guitar body into molten metal without destroying the wood. 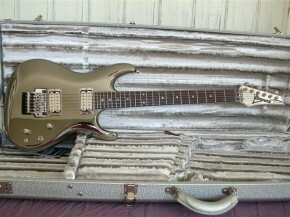 Eventually, Ibanez switched to a body that was made of luthite (which is a light weight synthetic designed to be a wood replacement) for the JS10th model, which yielded better results than with the wooden JS2, however still presented problems when it came to the finish peeling off and watermarking. 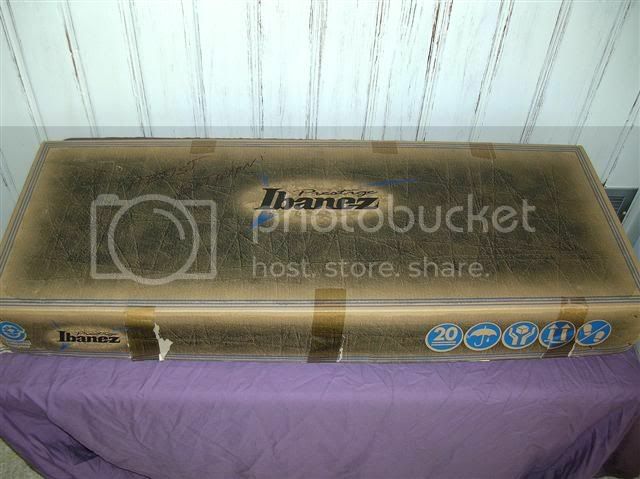 On the JS2PRM model (see Ibanez JS2PRM photo gallery), Ibanez has figured out a way to get the aluminum finish to successfully adhere to the wooden body, a procedure known as Vacuum Metalizing. In this process the guitar is painted with a conductive paint and polished before being placed into a vacuum chamber that contains a cloud of vaporized aluminum, which is attracted to the conductive paint on the guitar. Afterwards, the guitar is polished to bring out its shine. According to Ibanez, the JS2PRM guitar will be the last Ibanez axe to carry the mirrored aluminum finish. 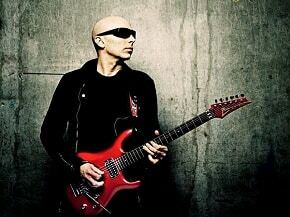 The JS2PRM is truly an amazing looking guitar, perfectly designed for the king of shred, Joe Satriani. The JS2PRM also has a staggering array of features, such as a Prestige JS maple neck, an original Edge tremolo bridge, a pair of Dimarzio humbucking pickups (a PAF PRO and a Fred), coil tap and high pass filter push/pull pots, and phase switching. The Ibanez JS2PRM lists for around $5330, but with such a limited supply may prove difficult (if not impossible) to find on the market. If you can find the JS2PRM, pull out your pocketbook, it’ll set you back $20,000 – $30,000. 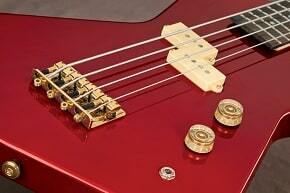 — Here’s a JS2PRM for sale at GEAR-VAULT Auctions. 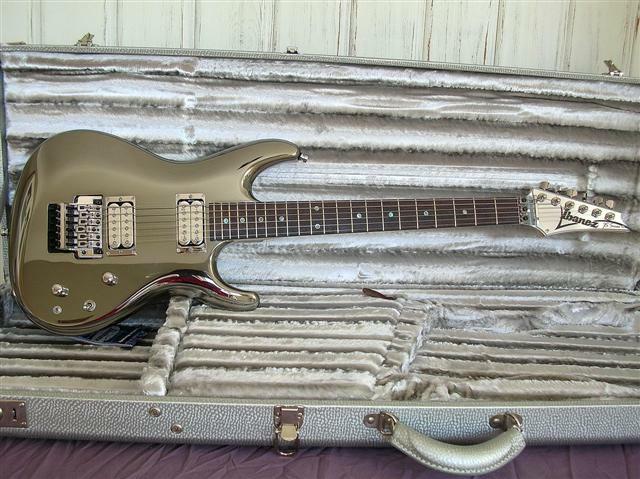 For more info on the rare Ibanez Chromeboy, click: Ibanez’s JS2PRM guitar. I bought 2 of them when they were released….#34 and #22. Cost me about 20,000$ a piece. played one of them once, most beautiful creation ever. They will be under glass for the rest of there lives. That’s the kind of guitar they are. However, there’s a guy on jemsite.com who gigs his. I just noticed a JS2PRM Chromeboy is listed on ebay for $8,500, that’s a bargain! i want this guitar please tell me the price and the contact number. This guitar is with a very happy person located somewhere in Australia.